Deep fried stuff is unhealthy, who doesn’t know that right? However, deep-fried chicken is just so good that occasionally I still enjoy it. Especially these Har Cheong Gai (in Cantonese it literally means Prawn Paste Chicken), they are crispy on the outside and succulent on the inside and the intense savoury flavour is just so irresistible!! Bet this is even better than eating KFC. Har Cheong Gai is first marinated and then dipped into a batter or dusted with a flour mixture and left to marinade overnight before deep frying it the following day. WARNING: The moment you open the bottle of Shrimp Paste, the smell will “stink up” the whole house so ensure that you close all the rooms’ doors and open your windows. I kind of over exaggerated but the smell might be too overpowering for some. Once you have tasted Har Cheong Gai, it will be a different story altogether. I believe you will love it! Remove any remnant feathers on the chicken wings and drumlets. 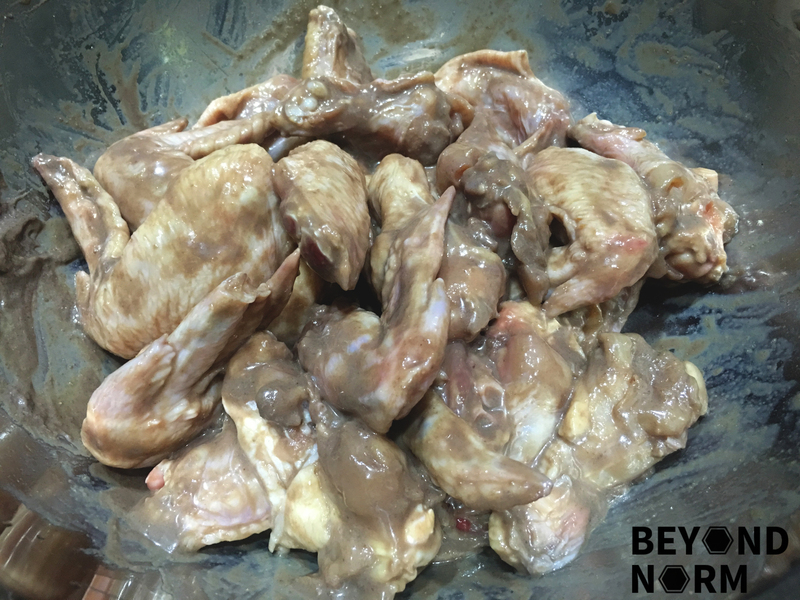 Rub the skin of the chicken pieces with some salt to remove any impurities, then wash and drain dry. 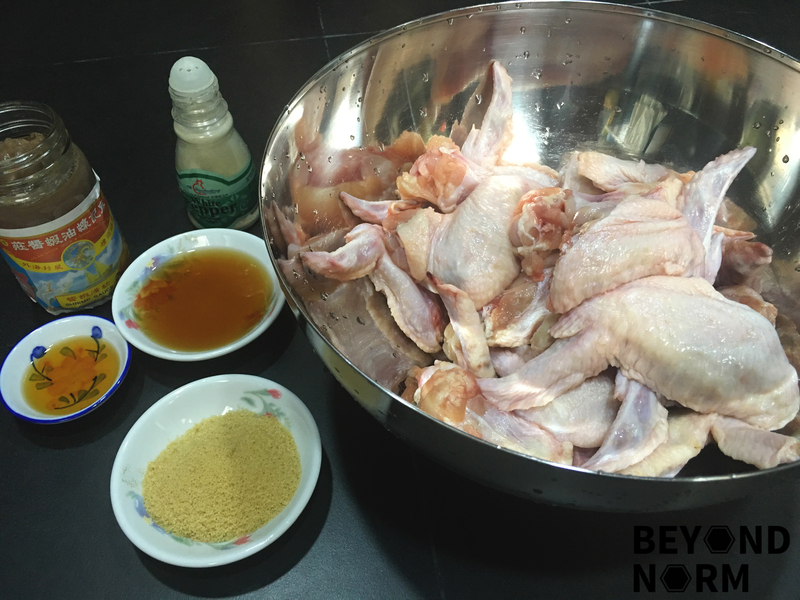 Add the ingredients for the marinade on the chicken and mix well. Add all the ingredients to the batter and mix well to get a smooth batter. Coat the marinated chicken evenly with the batter. Mix well and place the chicken in a container to marinade overnight. Heat up the wok with oil till it is moderately hot (180°C). 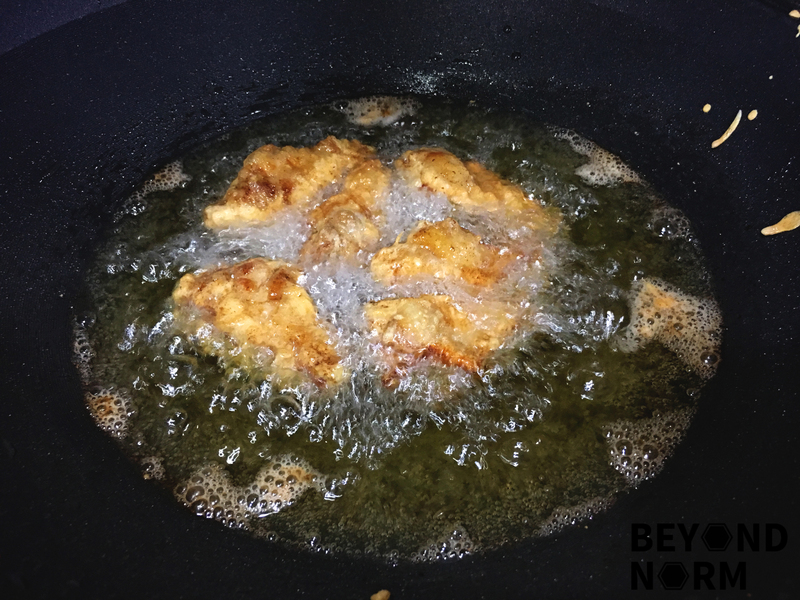 Add 5 to 6 wings or drumlets at a time into the oil. Once cooked, remove from the oil and transfer to a wire rack to cool down. 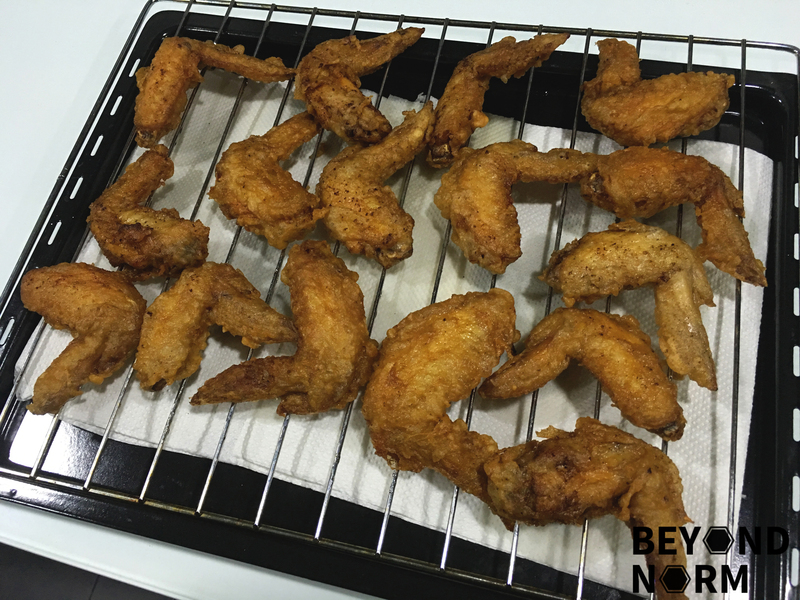 Continue to fry the rest of the chicken wings and drumlets. Remember to turn the heat up to high again before you start to fry each subsequent batch. Transfer the chicken onto a serving dish, and garnish with some parsley. 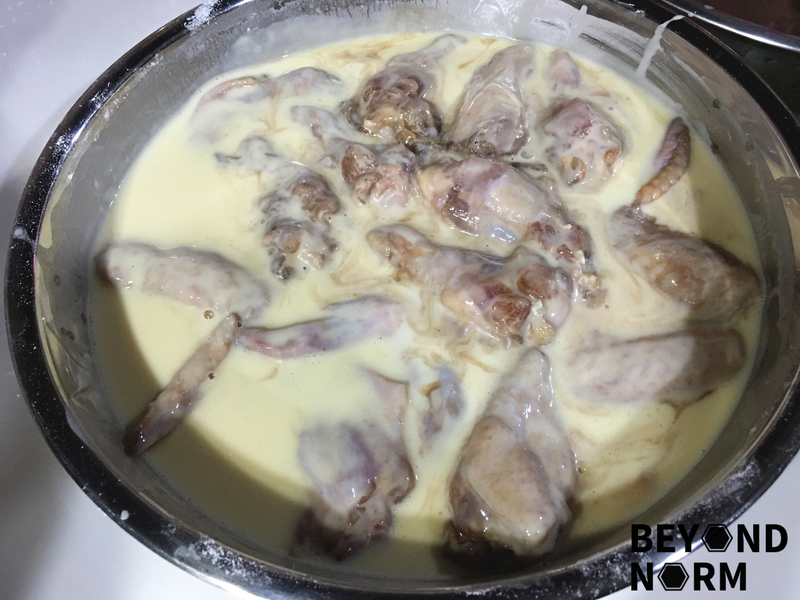 Before serving squeeze some calamansi on the chicken wings and serve with some sambal chillies.